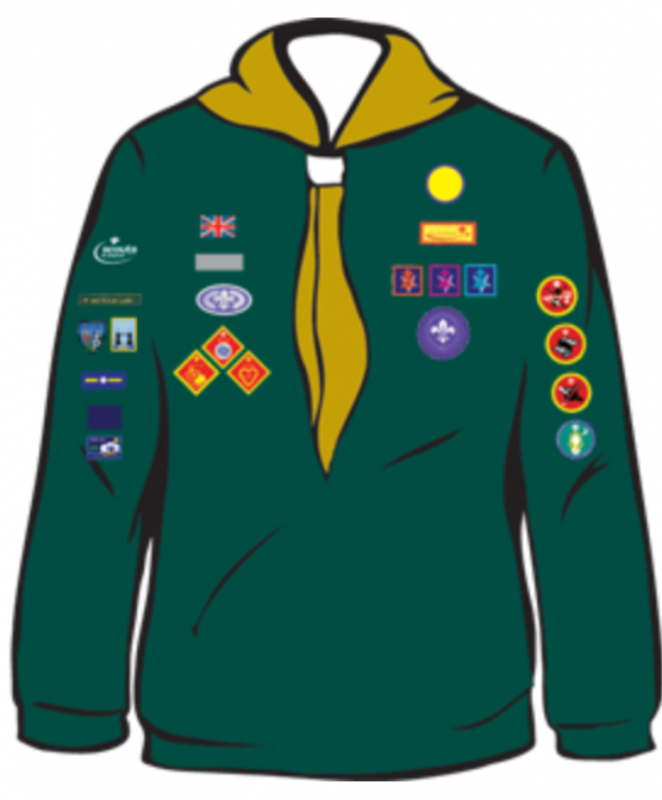 Our cub uniform consists of black shoes, blue activity trousers, green sweatshirt, necker (black and sky blue) with a woggle. All uniform (except shoes) can be purchased through the following link. Neckers should be purchased through the Cub leadership team. Below is a diagram of where badges should be sewn onto a cub uniform.